For those of you who may have missed last week, we had a guest blog from the gracious and talented Margaret Ann Lewis, author of Murder in the Vatican, the Church Mysteries of Sherlock Holmes. It was followed shortly thereafter with an interview and a review. If you were looking for another Snarky Theology blog, sorry, you're out of luck. Because this week we have a guest blog from author Karina Fabian, editor of Infinite Space, Infinite God II, an anthology of Catholic science fiction. You can find it at B&N, Amazon, etc. 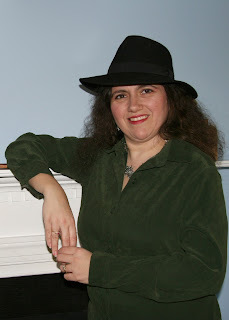 Some may ask why I would host a science fiction author / editor on my blog. Murder in the Vatican was at least a Catholic mystery, and, in a way, A Pius Man is a mystery, but science fiction? Since one of my top five post at the moment is a report from DragonCon, 2010, I'm assuming there's an interest. Oh, yes, and while I think of it, I have been asked to inform you that the first book, Infinite Space, Infinite God is on sale for .99 cents through April 13. It and the sequel are for sale for 2.99 through April 23rd. From here on out, Infinite Space, Infinite God II will be shortened to ISIG2. John asked me to write about religion in science fiction. It’s becoming a big topic lately, from SFGospel’s “Ten Best SF Stories About Religion” to Charlie Jane Ander’s “The Seven Deadly Sins of Religion in Science Fiction”. Why is religion and SF becoming a big deal? Truth is, religion and science have always been a big deal . In ancient times, religion and science were often one and the same. The ancient Pythagoreans tries to determine the work of the gods in mathematics, for example. The medieval Catholic Church sponsored many great scientists—and still does today. Gradually, the two separated in their functions, so that religion addressed the why of creation and science the how (an oversimplification, I know.) Today, the Catholic Church still sponsors scientific symposiums, with scientists of all faiths and even atheists. Many scientists are very faithful followers of a religion. Yet with the Age of Enlightenment, religion began to be seen as something separate from “reality,” including science. That attitude held on well into the 20th century, and in the new genre of literature born of that era—science fiction. Too often, humankind was portrayed as having “outgrown” such archaic ideas, or the religious figure was brought in as a foil to the hero, which pitted the religion and science against each other. Over time, the ideas of separation of Church and State morphed into the idea that Church should be separated from everything—even our entertainment. For a long time, the author who stepped into religious grounds, even for the purpose of worldbuilding, was risking their book; and the publisher who took them on risked losing money. Only a few were able to do it successfully, and they were the exception rather than the rule. Most, even then, took a light hand. Then came the movement of Christian Fiction, but often, they took the same approach but in an opposite direction—pitting the evil scientist against the moral and courageous religious hero. That did find some readers, but in my opinion, only hurt themselves and the idea of that religion and science can support each other. My husband, Rob, and I are both devout Catholics. We are also major sci-fi geeks. We don’t see a dichotomy between faith and science. Science teaches us how God made the world to run; use of science gives us technology that makes our lives easier. Religion teaches us why we are here and how to treat each other; use of religion guides us in the use of science and technology to make our lives better. This is how we live and frankly, this is what we’d like to see when religion and science combine in fiction. That’s why we created the anthologies Leaps of Faith, and Infinite Space, Infinite God I and II. What’s exciting is that we are part of a growing literary movement that sees religion as a legitimate part of world building, and not just a tool for evangelizing—either for religion or for the end to religion. There are publishers like Splashdown Books and Marcher Lord Press that are dedicated to religious speculative fiction and there are secular publishers, like Twilight Times that published Infinite Space, Infinite God I and II, that are not intimidated by the mix as long as the writing is strong. And, whether done well or badly, we are starting to see the re-emergence of religion in our entertainment. It’s no longer a separate aspect of human lives that needs to be shut away. Rob and I consider that a blessing.